Federal Air Marshals are livid, and they’ve contacted me regarding this story that puts them in a bad light. One of their own was busy–on the taxpayer dime–picking up Owen Wilson, instead of protecting the plane. And it worked . . . for her. Federal Air Marshal Jade Duell just had Owen Wilson’s baby. Cha-ching! Owen met Jade Duell, a U.S. air marshal, while en route to film How Do You Know with Reese Witherspoon last year on a flight from L.A. to Washington, D.C.
Several Federal Air Marshals told me it’s against the rules to get celebrities’ phone numbers and try to pick up passengers . . . while they are supposed to be protecting the plane from Islamic terrorists. Jade Duell wasn’t put in First Class, courtesy of the federal government, to find a famous boyfriend who can pay gargantuan child support and make her set for life. She was in First Class to look for suspicious people trying to endanger the plane and use it as a weapon. Screw being a Senior Federal Air Marshal …. I’m gonna find me a mooooovie star! If this was one of us (a dude), we would be shown the door so fast it might cause a black hole due to appear. And the Air Marshals have a point. As you’ll recall, a few years ago, I wrote about a male Federal Air Marshal who was a fan of the ABC anti-male yenta hag-fest, “The View” (that should have been enough to take away his man-card . . . and his FAM badge). He gave his name and real job identity to Elisabeth Hasselbeck and Joy Behar, even though he knew they are airhead blabbermouths who wouldn’t use discretion. That very day, Hasselbeck blabbed his name, cover story, seat location, and flight on national TV. After I wrote about it, that Air Marshal was investigated by his agency. For now, there’s nothing happening to Duell for her obvious indiscretion. 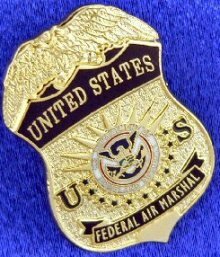 I have my doubts about the effectiveness of female Federal Air Marshals to begin with. They aren’t strong, and can’t hold down a terrorist. And, now, we know they are just simply too busy trying to get in the pants of–and get a payday from–the movie star in seat 1B. Memo to Jade Duell and other female Federal Air Marshals: your job is to guard the plane, not Owen Wilson. Your job is to guard the cockpit, not Owen Wilson’s . . . well, you get the point. 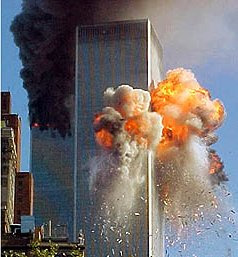 We have enough reason to know we’re less safe in the skies than we were before 9/11. Now, we’ll have to worry about the Federal Air Marshal–if there is even one on the plane–and whether she’s looking for the suspicious eyes of evil-doers or too busy looking into the eyes of Owen Wilson. John Q, it sounds like you did not fully understand the blog entry, or you are just doing a poorly conceived defense of Jade for personal reasons. If the latter, that is kind of you to try. If the former, keep in mind that the point of the blog entry is that FAMs themselves are critical of the behavior of FAMs who hook up with celebrities, and that the particulars of this case and the family’s exposing the case in the tabloids brought up a number of other violations of policy including relationships between FAMs and so on. It would be inappropriate to characterize this particular FAM as an “unsung hero” in any way. FAMs who do their jobs and follow their code of conduct are of course unsung heroes, just not this particular FAM. I wouldn’t be too worried about her, it sounds like she is getting everything she wanted out of the situation, and it sounds like her family will be taken care of in fine style as well. Bringing up 9/11 is laughable hyperbole considering all the FAMs who are doing their jobs with excellence every day, and have been since 9/11 and the advent of TSA; these good FAMS the very same FAMs who encouraged this blog entry exposing unprofessional FAMs to be written. That website Bonita mentioned is crazy – all these different people, a Facebook friend, a work colleague, people in the cities where Jade and Owen visited – all conspiring on the website to stalk them and share information. It’s scary stuff. Still, quite amazing that with all that they didn’t work out that she was pregnant (Too Much: original July comment was “I only hope that he doesn’t impulsively wind up becoming a father or married [to] this woman”.) I’m sure whether they end up married or broken up, it will be “I told you so”. OMG!!!! Jealous much? How unenlightened, you people. Now THAT’S something to fear. Go Jade and congratulations to you both!! You are one of our best and we’re happy to have you. Many of you have opinions about something of which you are clueless. Anyone here know her? work with her? I thought not. She’d have anyone’s back. Y’all are about stabbing one in the back. Nice. Debbie……Jade is so far superior to you. Your lies are unattractive. People…..even the supposed FAM quotes stink of jealousy. The number of male FAMS, usually married, drooling and picking up celebrities or any willing female on a flight is staggering. So take the J factor out and and write your report about THAT! Thanks Jade, for keeping my family and friends safe when they travel. Let these people hope for a man to protect them on their flights. Maybe the guy in the third row with big muscles…..is he a FAM? Y’all will never know. How embarrassing for you that you posted that right before the latest news about what a crazy, conniving, unfaithful hag and whore she is. Obviously she’s not a hero or keeping anyone “safe”. You are deluded. It’s obvious she has used and misused everyone she ever “loved”, and you’re in for a shock if you think you’re going to benefit or be included in her new lifestyle. She’s not worth defending. She will never be a FAM again anyway – she left the job a few months ago and she’s never looking back. So much for her having a higher calling to protect deranged citizens like you. Looks like it’s all over for Jade and Owen!! Well, Jade Golddigger got her payday and crazy ol’ Owen got to shell out the big bucks for the next eighteen years. Have fun being a single mom, Jade!! living together in the future! who ever really thought they did anyway.What is becoming very clear is this kid is just a commodity to both of them for Wilson as a pr tool to help boost and lenthen his flaging career, and to her as a very good little earner. This kid will be pimmped out to any locretive ad deal that comes along. both without morals or princles.